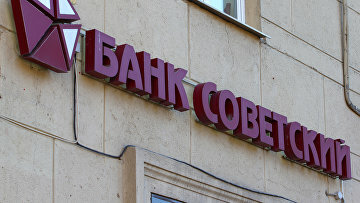 Ex-top manager of Russia’s Sovetsky bank put under house arrest in embezzlement case | Russian Legal Information Agency (RAPSI). ST. PETERSBURG, March 13 (RAPSI, Mikhail Telekhov) – A former top manager of Sovetsky bank Kirill Laskin, who stands charged with embezzling 2.2 billion rubles ($33.5 million) from the financial organization, has been released from detention and placed under house arrest until April 4, the United press service of St. Petersburg courts has told RAPSI. Laskin was also CEO of the credit agency Collector 19. According to investigators, the defendant and his accomplices have stolen 2.2 billion rubles through this agency. Other defendants in the case are ex-Sovetsky board member Pavel Izyumov and 10 other ex-employees of the bank and businesspersons. The St. Petersburg Commercial Court declared Sovetsky bankrupt on August 28, 2018.